Ancestry.com. 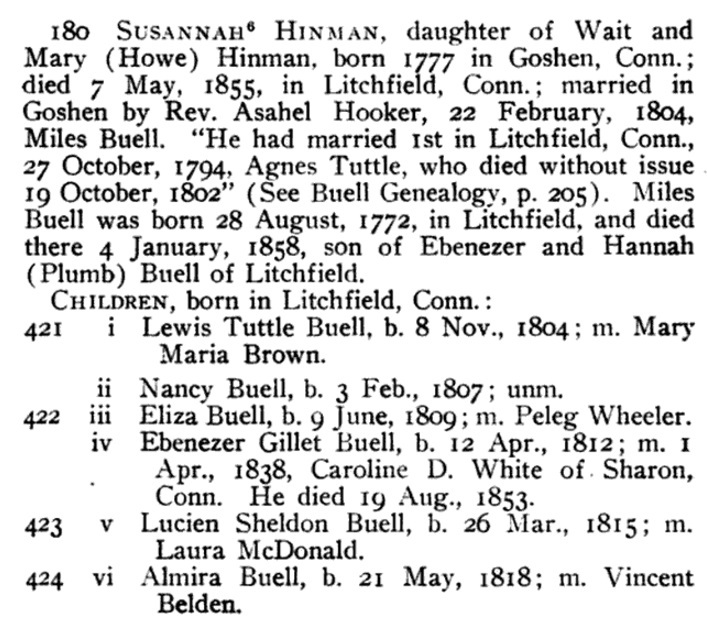 Connecticut, Deaths and Burials Index, 1650-1934 [database on-line]. Provo, UT, USA: Ancestry.com Operations, Inc., 2011.
living at Braceville, Trumbull County, Ohio. 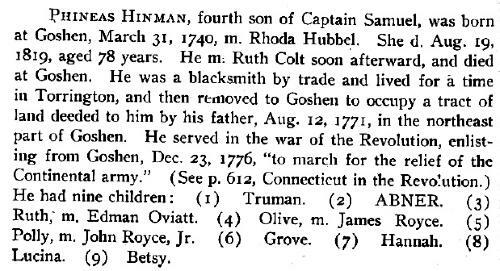 Adin Vincent Hinman, A History of the Hinmans, Containing Also an Abbreviated Record of the Kindred Families, , at https://archive.org/details/historyofhinmans00hinm . Youngstown, O.: The Vindicator Press, (1907) , p. 66. 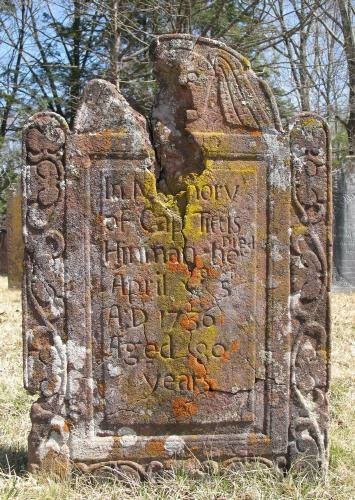 Susan Emma Woodruff Abbott, Families of Early Milford, Connecticut, , at https://books.google.com/books?id=RJcfa0INt4IC . Baltimore, Maryland: Genealogical Publishing Co., Inc., (1979) , p. 506-7. Gertrude Van Rensselaer Wickham, Memorial to the Pioneer Women of the Western Reserve, Vol. 1, , at https://books.google.com/books?id=vgNJAQAAMAAJ . (1896) , p. 240, 242. Rev. Samuel Orcutt, A History of the Old Town of Stratford and the City Bridgeport, Connecticut, , at https://books.google.com/books?id=uvMLAAAAYAAJ . Fairfield County Historical Society, (1886) , Vol. 2, p. 1219. Ancestry.com. 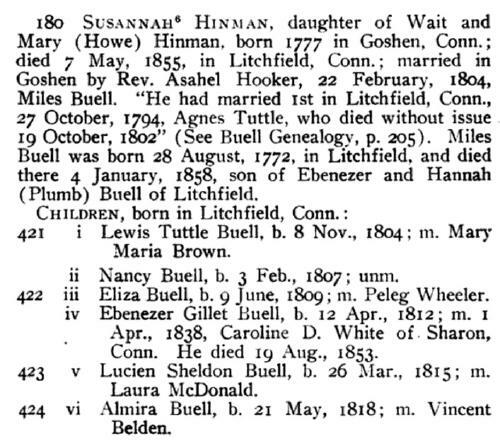 Connecticut, Town Marriage Records, pre-1870 (Barbour Collection) [database on-line]. Provo, UT, USA: Ancestry.com Operations Inc, 2006. Record added: Apr 01, 2010. 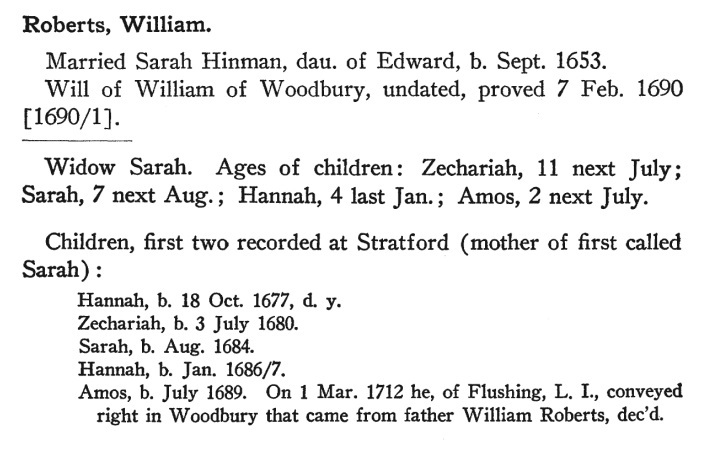 "New Jersey Births and Christenings, 1660-1980," database, FamilySearch (https://familysearch.org/ark:/61903/1:1:FZZX-SVM : 12 December 2014), Samuel Hinman, 02 Sep 1778; citing , reference ; FHL microfilm 0899807 V. I. "United States Census, 1850," database with images, FamilySearch (https://familysearch.org/ark:/61903/1:1:MHVD-WDN : 9 November 2014), Samuel Hinman, Hart, Warrick, Indiana, United States; citing family 433, NARA microfilm publication M432 (Washington, D.C.: National Archives and Records Administration, n.d.). 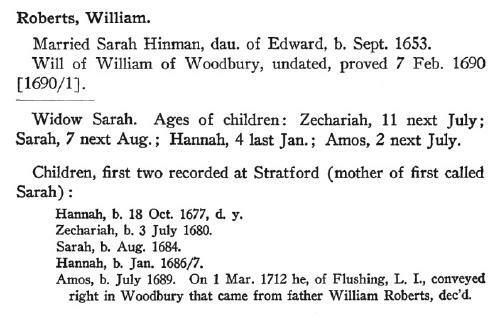 Sarah married It is likely that she would have remarried after the death of William, as her children were still very young, but I find no record of it. 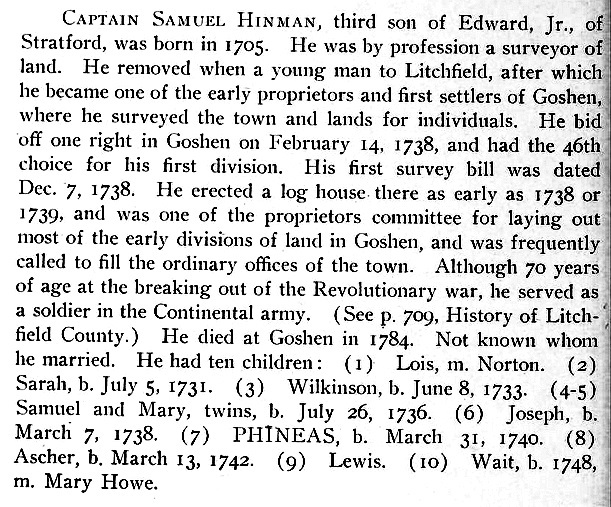 Royal Ralph Hinman, A catalogue of the names of the early Puritan settlers of the colony of Connecticut: with the time of their arrival in the country and colony, their standing in society, place of residence, condition in life, where from, business, &c., as far as is found on record, , at https://books.google.com/books?id=KTkBAAAAYAAJ . Hartford: Press of Case, Tiffany and Company, (1852) , p. 814. 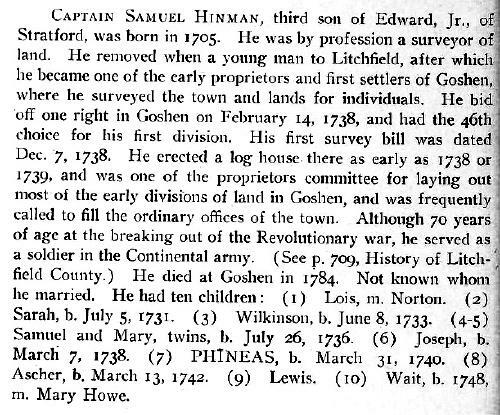 Royal Ralph Hinman, A catalogue of the names of the early Puritan settlers of the colony of Connecticut: with the time of their arrival in the country and colony, their standing in society, place of residence, condition in life, where from, business, &c., as far as is found on record, , at https://books.google.com/books?id=KTkBAAAAYAAJ . Hartford: Press of Case, Tiffany and Company, (1852) , p. 811. 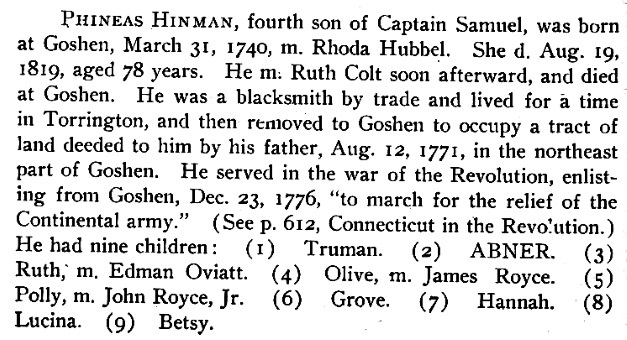 Royal Ralph Hinman, A catalogue of the names of the early Puritan settlers of the colony of Connecticut: with the time of their arrival in the country and colony, their standing in society, place of residence, condition in life, where from, business, &c., as far as is found on record, , at https://books.google.com/books?id=KTkBAAAAYAAJ . Hartford: Press of Case, Tiffany and Company, (1852) , p. 813. Find A Grave Memorial# 10386293.